Dual purpose travel bowls cinch at the top for food or can open up for water. 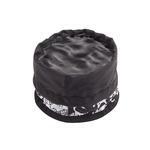 The fabric bowls stand stiff for excellent travel-ability! 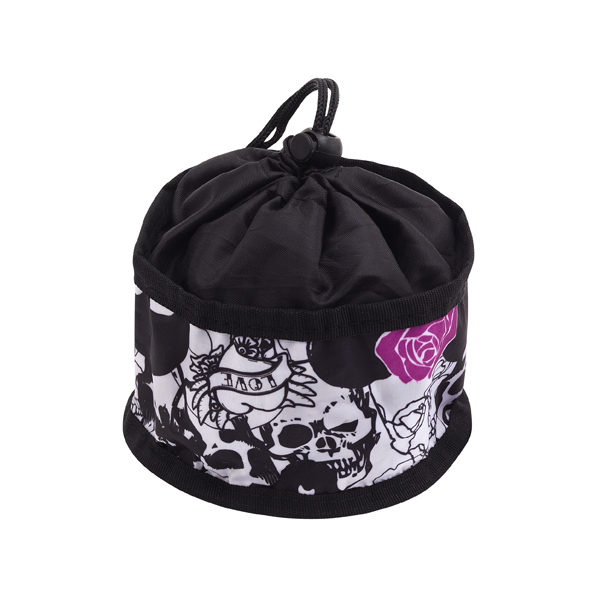 This waterproof designer skull and rose printed bowl comes in two sizes. Bowl folds in half and closes with touch fastener for easy portability. Small leash clip allows you to hang it from your purse, belt loop, or anything else. Small bowl can hold up to 3 cups and has a diameter of 5"
Large bowl can hold up to 6 cups and has a diameter of 7"
Posted On 07/22/17 by Kathleen S from , DC Yes, Kathleen S recommends this product! I like their quality and selections. Chat is very helpful!! !